Sign up and receive Property Email Alerts of Houses for sale in Riversdale, Riversdale. Come and experience this characterful, Cape Dutch thatched house with separate income generating one bedroom flat-let in the historic town, surrounded by beautiful views, landscape garden, pool, jacuzzi. Cozy and spacious inside and out. In the heart of the Langeberge with Sleeping Beauty overlooking this small friendly town where children can still play in the street and a community that reach out for one another. This town well-known for top schools - one of the top rugby and agriculture schools in South Africa. With Stillbay, Witsand and Mosselbay on your doorstep are you close enough for a day trip to the beach. 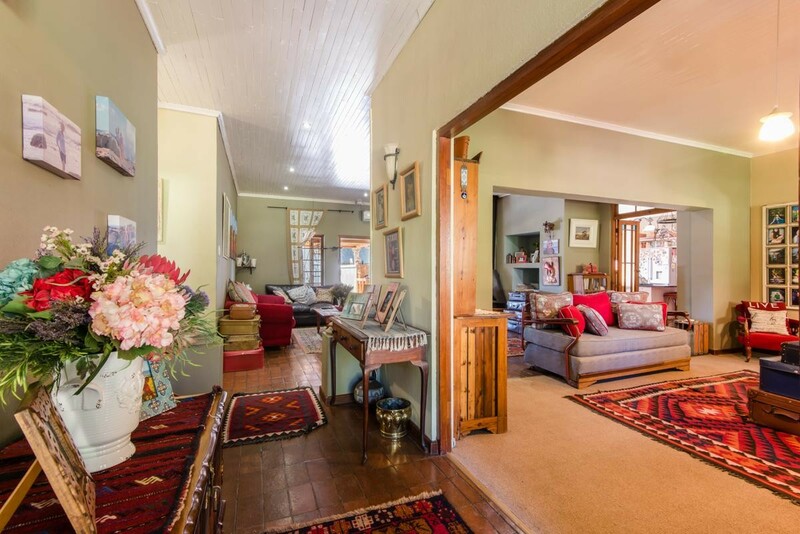 The main house with 2 big living areas, big farmhouse kitchen, build in braai's and fireplaces, spacious rooms and bathrooms with a big patio, swimming pool and jacuzzi is the perfect family home with lots of space to entertain. This house can also be a perfect investment to start a guesthouse (guesthouse potential). You can really create your dream come true with this spacious erf size. The one bedroom one bathroom flat with inside braai can be rented out...to generate income or for a perfect teenage pad / granny flat. Sign-up and receive Property Email Alerts of Houses for sale in Riversdale, Riversdale.